I get a lot of music sent to me. Nowhere near as much as any of the big shots I'm sure, but far more than one man with a full-time job and family can handle. So I have to prioritize. Locals bands first, then Canadian, then band's I like/have heard of, then everything else. That means there wasn't much hope for Austin, TX's Ume when their album Monuments came across my desktop. They checked none of the boxes, plus they were burdened with a really stupid name. However, the description sent that accompanied the record made me curious, so I gave it a listen. I'm sure glad that I did. 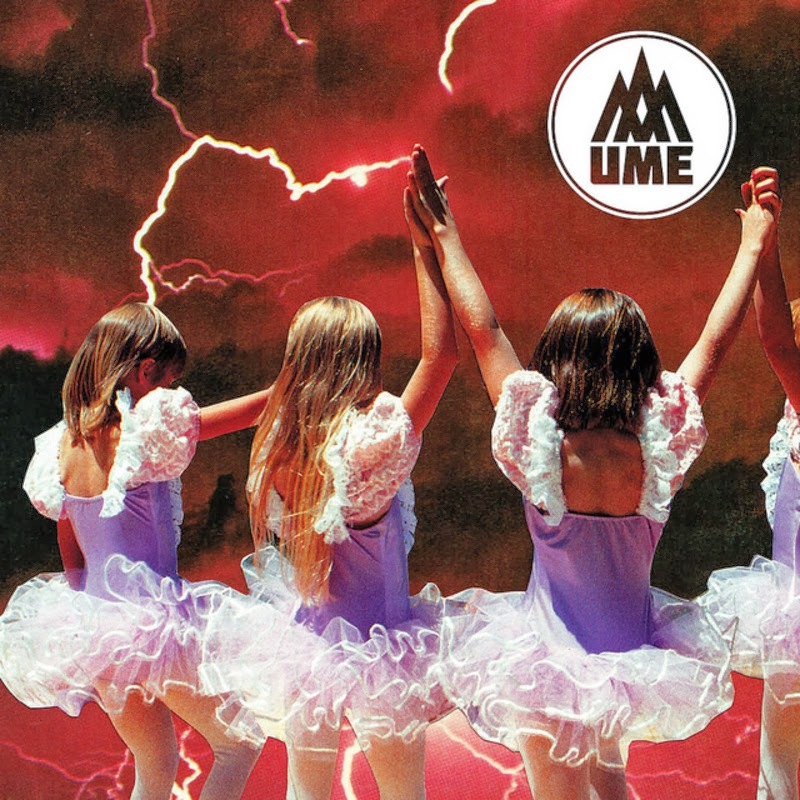 Ume is the hardest rocking female-fronted power trio I've had the pleasure of hearing in a dog's age. Thanks in large part to a killer rhythm section that provides a bold heavy bottom end, the group display a remarkably measured power. The album kicks off with the Sabbath-inspired riffage of "Black Stone" and rarely eases off the gas pedal. Tracks like "Until the End" and "Reason" display the discipline that Ume bring to their performances. A more melodic side sneaks through on the no less hard rocking "Embrace". "Gleam" is a shiny guitar-driven number that nudges towards power pop. The record's standout cut is "Barricade", which sounds like Lykke Li's "I Follow Rivers" on a 'riod rage rampage. There are a couple of completely stripped-down tracks, Barophobia" and "Within My Bones", that meet with less success. Monuments is a lesson to me that I should take chances a little more often with what I choose to open up and listen to. Best tracks: "Barricade", "Black Stone"
"Too Big World" is my favorite. This albumn is so much better than most of that crap that passes as rock. Enjoyed your review.